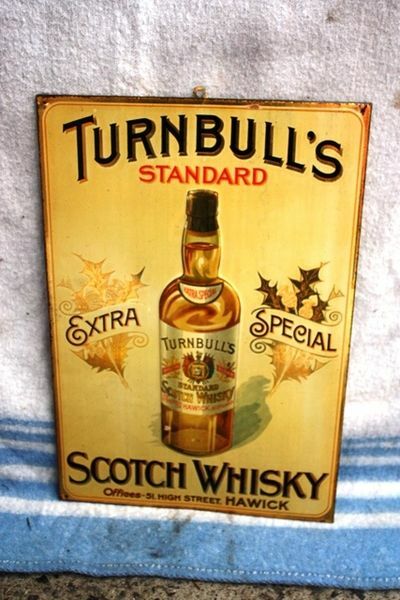 Antique Turnbulls Scotch Whisky Embossed Tin Sign. Antique Turnbulls Scotch Whisky Embossed Tin Advertising Sign. 32cm x 46cm.